TURIN, Italy (Reuters) - The home of Fiat bid farewell on Friday to Sergio Marchionne, one of the auto industry's most exacting and determined leaders, who rescued the Italian car giant and U.S. Chrysler. 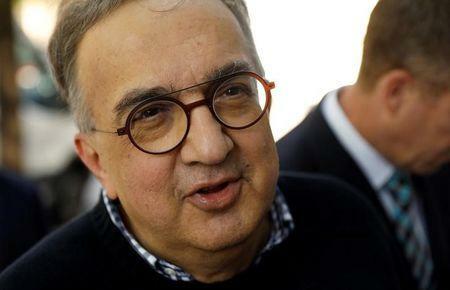 The Italian-Canadian chief executive died in July, aged 66, after succumbing to complications from surgery, ending a 14-year career at the wheel of Fiat and the later combined Fiat Chrysler Automobiles (FCA) which he built. On Friday, more than 2,000 people -- including townsfolk, FCA workers, politicians, and corporate executives -- gathered in a packed Turin cathedral for a memorial service to honor the man who masterminded two long-shot corporate turnarounds. Fiat's founding Agnelli family were there in numbers, including FCA chairman John Elkann. Pirelli boss Marco Tronchetti Provera and former Italian Prime Minister Matteo Renzi also attended the funeral. Marchionne achieved what many thought impossible, most notably his huge gamble just over a decade ago when he set in motion the marriage between the then-ailing Fiat with bankrupt U.S. rival Chrysler. It is now the world's seventh-largest carmaker and is debt-free. "You’ve taught all of us to think differently, to have courage to change and to do. And not to be afraid. Dear Friend, Rest In Peace," Elkann said in an address that was unusually emotional for the Agnelli scion. In the clubbish world of Italian business, where change often happens slowly and chief executives bend to the prevailing political wind, Marchionne stood out as an exception, taking on trade unions and rowing publicly with politicians. He pulled Fiat out of Confindustria, Italy's top business group, determined to negotiate directly with unions rather than pursue national wage bargaining. The trained accountant and lawyer was lauded even by competitors for his shrewd dealmaking which kept investors on board. Fiat's value grew more than tenfold, helped by the spin-offs of trucks and tractor maker CNH Industrial and supercar maker Ferrari. Though FCA no longer has the presence in Turin it had two decades ago, many will remember Marchionne as the man who revived the carmaker's fortunes, even if many workers are still on lay-off schemes and plants in the city run below capacity. He streamlined the group, took a knife to costs, slashed the number of car platforms and formed joint ventures to share development and manufacturing. "Without him there would have been no future for this company," said Giuseppe Tavano, an FCA transmission worker. FCA named Jeep head Mike Manley as its new CEO. The Briton has since pledged he will carry through a strategy Marchionne outlined in June to keep the carmaker "strong and independent". "We hope the new manager will continue his legacy and the company does not abandon Italy. That would be a real shame," said Liliana Ferrero, a 67-year-old Turin citizen. A second memorial will be held on Sept. 27 at FCA's U.S. base in Auburn Hills.